The unbearable sogginess of digging. Monday 16th July. The morning came and greeted us with rain, and lots of it. Almost horizontal rain. 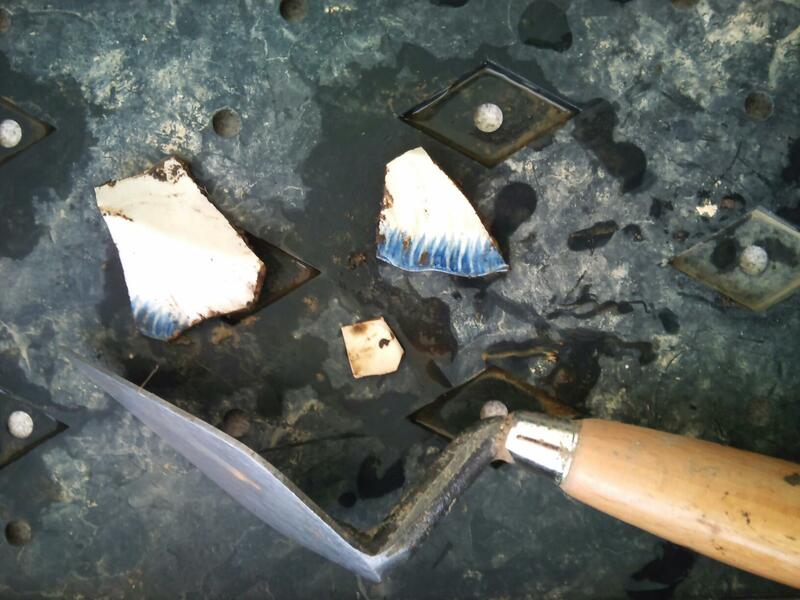 A couple of finds cropped up – some china (pictured below), window glass, green bottle glass and a few iron nails. 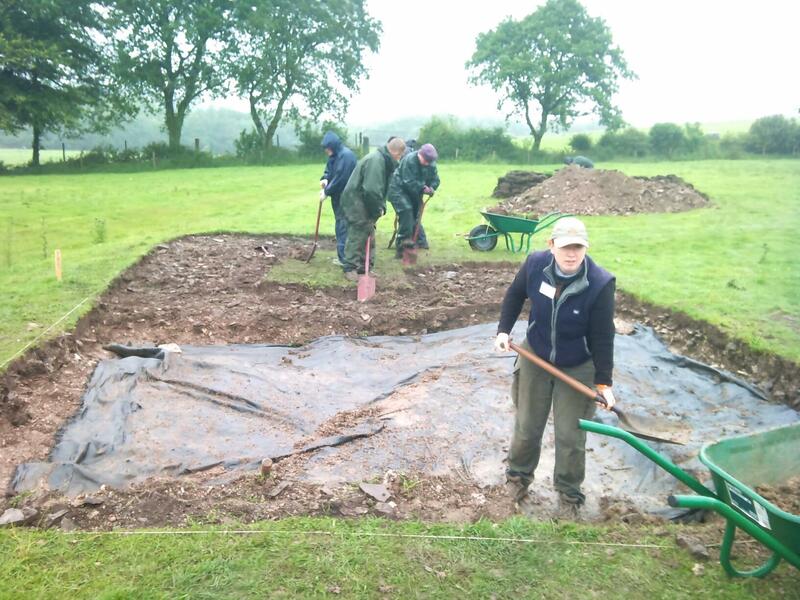 By the end of the day everyone was covered in mud and soaked to the bone – it seems that waterproofs aren’t waterproof in the Welsh rain. But we got a lot of work done!